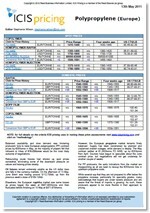 The ICIS Adipic Acid reports are covered weekly in Asia and Europe by our locally based price reporters. 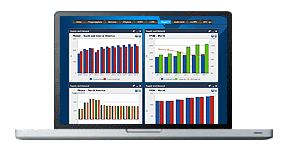 The news and analysis within the reports include spot and contract information, general overviews, upstream and downstream market movements as well as graphs and freight rates, when applicable to the market at the time. This independent and unbiased market information is crucial if you are involved in the Adipic Acid or related markets in order to make confident commercial decisions. Asian adipic acid (ADA) prices are expected to strengthen slightly in the third quarter on the back of the output cuts implemented by several Chinese producers. Major producers were pressured to reduce operations amid losses incurred in the second quarter. Furthermore, downstream demand will improve in the third quarter (Q3) amid the traditional peak season in September and October. In the European market, players’ expectations for the third quarter of the year are that things should stay more or less unchanged. That would mean the market would continue to be quite tight over the rest of the summer, but with shortage of product perhaps becoming less of a problem than has been the case during the first two quarters of the year. This outcome will depend on at least two factors. European producers have been struggling to source sufficient cyclohexane (CX), and an assumptions about continued tightness in the ADA market may not have taken into account a meaningful improvement in CX availability. Secondly, demand has also been generally healthy, prompting suppliers to believe that consumption will remain quite strong in the summer months, rather than slow down as businesses take holiday breaks. At present, there do not appear to be grounds for doubting these assumptions. We offer the following regional Adipic acid analysis and news coverage to keep you informed of factors and developments affecting prices in the Adipic acid marketplace. 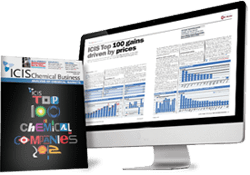 Over 25 years of reporting on key chemicals markets, including Adipic acid, has brought global recognition of our methodology as being unbiased, authoritative and rigorous in preserving our editorial integrity. Our global network of reporters in Houston, London, Singapore, Shanghai, Guangzhou, Mumbai, Perth and Moscow ensures unrivalled coverage of established and emerging markets. Adipic acid is primarily used in the production of nylon 6,6, as well as in the manufacturing of polyurethanes and polyester resins. Adipic acid is a white, crystalline compound and is primarily used in the production of nylon 6,6. It is also used to produce polyurethanes, as a reactant to form plasticisers, lubricant components and polyester polyols. Feedstocks include benzene, cyclohexane (CX) and ammonia. Key end-user products include automotive textiles, shoes and shoe soles. Other outlets are as a food ingredient in gelatines, desserts and other foods that require acidulation. Exposure to adipic acid irritates the eyes, nose and throat as well as affecting the respiratory system. Adipic acid decomposes on heating, producing toxic and corrosive fumes of valeric acid and other substances.